A trip to Disneyland or Disney World is a rite of passage for the quintessential American family. However, it can leave a major dent in one’s pocket. So, today we will explore some easy ways to save money and have a frugal Disney World or Disneyland trip. Vacation clubs use a point system. Suppose you do not use your points, someone else can rent them from you. The same is true in case you want an affordable holiday- you can rent Disney vacation club points from someone else. Also, through vacation club deals, many deluxe resorts are priced at the rates of value or moderate resorts. 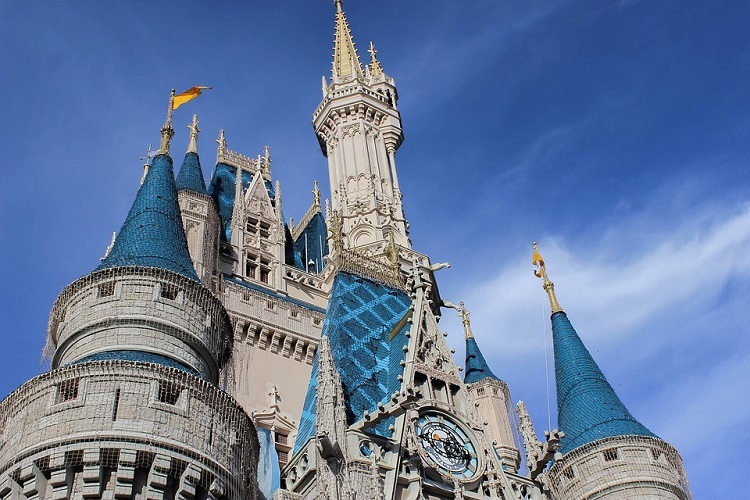 This is one of the best Walt Disney World savings secrets. For coupons to Disney World, make sure you visit their special offers page. Also look for coupons in locally distributed brochures. Florida residents are also eligible for many discounts. Use the Orlando MagiCard which can help you save not only at Disney but also at other participating parks. Pack your own snacks and refillable water bottles/cups. Eat a heavy breakfast at the hotel which is usually complimentary so you can skip lunch. Carry coolers with waters and frozen containers of juice etc. Save money by taking your afternoon meals at a local reasonably priced restaurant. Take a nap and then return in the evening when the crowds have thinned. Many parks do not serve drinks in small cups and you need to pay for the entire beverage for your kids as well. So carry extra cups and split the drinks. You can also split meals and snacks. Many places serve large burgers and single one of those can easily feed 2 small second graders. In hurricane and off season, Disney offers free dining plans. These are usually around May and June or September and October. Avail of these plans here. If you have taken dining plans, do not buy bottled water as you are entitled to free ice in many places. Lunch and breakfast are often cheaper than dinner at many Disney restaurants. Ship what you need to your resort ahead of your visit. All resort rooms have refrigerators. Place orders for groceries at local grocery stores and get them delivered to your resort rooms. This ends up being a lot cheaper. Sites like Hotels.com and Expedia often have great deals for Disney hotels. The best way to save money on Disney World tickets is to go in the off season. Crowds are less and you will get best incentive discounts as well. Use the crowd calendar on this site to plan your trip. Chances are you might find a lower price for the reservation in which case you can call up Disney to have it re-booked at a discount. This is one of the well known Walt Disney World saving secrets. You can save a significant amount on your resort booking and flight tickets in this manner. Certain types of credit cards like Chase Disney Visa get you nearly 15% off on park tickets and backstage tours etc. Many times, large families can actually stretch their hotel resort budget by booking a villa. For example, a party of 6 can easily fit into a 2 bedroom villa instead of booking 2 small hotel rooms. And when you book through vacation clubs, the price of the villa can actually be lesser. You can get all the benefits of staying at Disney resort without the price! Many camp grounds such as the one at Fort Wilderness give you the best of both worlds. You can enjoy the comfort of your RV or even rent one. It will still be a lot cheaper than booking a room of an equivalent size. Many people make the mistake of going in for moderate resorts when they do not want to book the Value resorts. If this is the case with you, go for the Deluxe resort. This is because; the moderate resorts do not offer any benefit to justify the price difference between them and the value resorts. Instead, book the deluxe resorts and get your money’s worth. Many erroneously think it is cheaper staying outside the resort. They forget that they need to spend on transportation and rental cars. 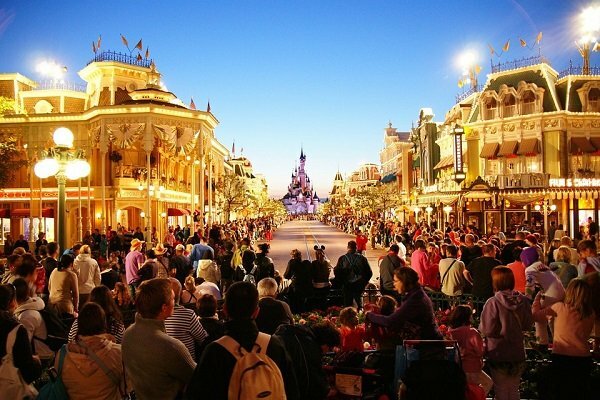 The real magic of Disney is best availed at the property itself. Getting in and out of parks will also be faster and you’d have a lot less stress as well. One of the greatest ‘save money Disney World tickets’ tips is to buy them through third parties. Many of these offer tickets at much lower prices. You can also buy tickets through store gift cards. For example, use your Target Red card to buy Disney gift card at 5% off and then use the same to buy park resorts, or goods. Costco and Sam’s also offers these deals. If you are planning more than 1 visit in the year or are planning to spend longer period of time at Disney, then buying a Park Hopper annual pass may be cheaper than the day pass. When you buy annual passes, you also get many incentives on dining as well as photo downloads or memory makers. If buying annual passes does not make sense, you can also go for multi-day tickets which are still cheaper than buying multiple 1-day tickets. Families with young kids and babies should avoid Park Hopper. Park Hopper is best for adults and families with older children who do not need naps. Kids will insist on purchasing merchandise and toys there. Instead, buy these ahead (stickers, glow sticks, caps, hats etc) and delight them while saving tons of money in the process. Make sure you pack everything you need as things like umbrellas and ponchos can cost a lot more at the park. Here is a great packing list for Disney. We hope these 15 easy ways help you save money at Disney.